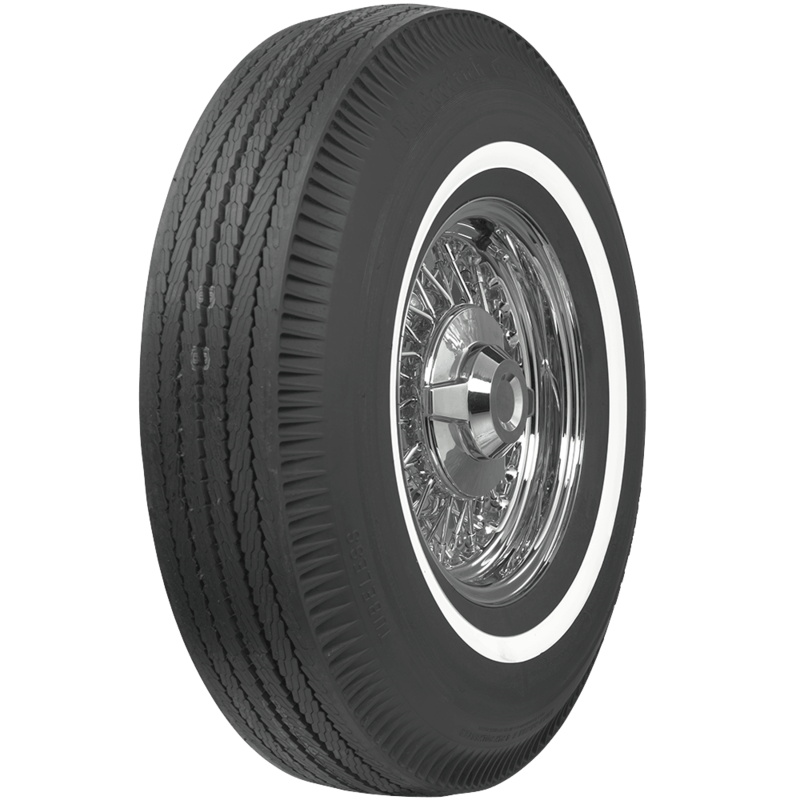 Get classic good looking 15 inch whitewall tires from BF Goodrich for your full size American car. 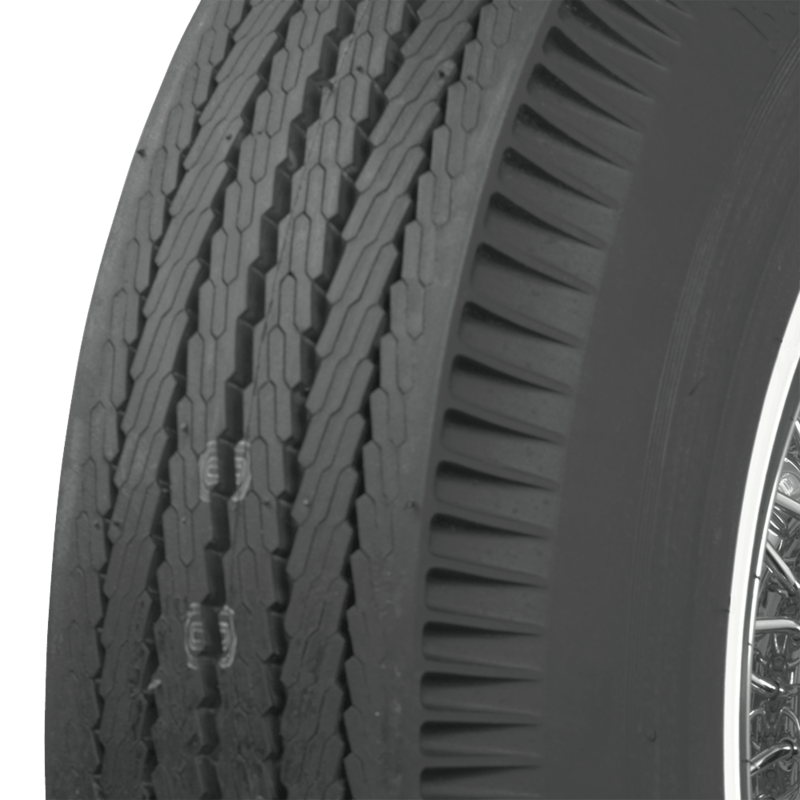 These premium tires feature authentic tread pattern and classic pie crust sidewalls with narrow whitewalls. 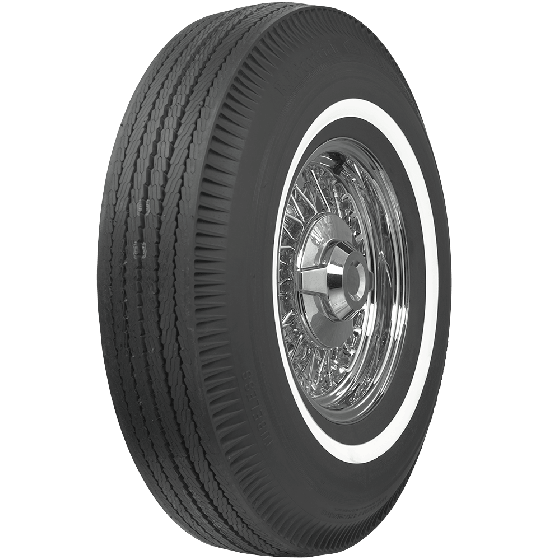 These classic BF Goodrich Bias Ply 15 inch narrow whitewall tires boast genuine whitewall construction for an authentic bias ply tire, perfect for applications calling for 9.00- or 8.15-15 tires. 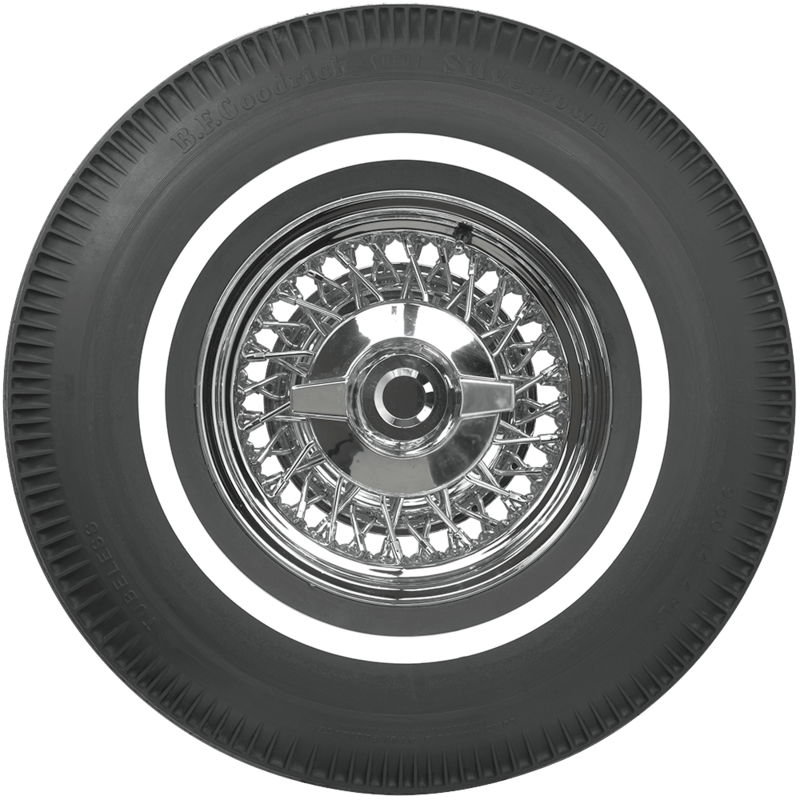 Install the correct tires for your classic for authentic, great looking style, and authentic tires and wheels are proven to increase the value of your collector car at the auction block! Help your classic cruiser look its very best with a brand new set of 15 inch white wall tires from the world's leading supplier of collector tires and wheels.